If there are two traits in this world that lead me to trouble, they are pickiness and geekiness. There is no piece of technology I will not form an opinion on, given time and research. So it’s natural that when my dad purchased a new semi-portable camera that wasn’t an SLR, I was skeptical about its value. I’ve been around enough old cameras to appreciate new features and question prices, so I figured I’d do as scientific a comparison as possible. My main area of interest was image quality (on Auto) and low light performance. 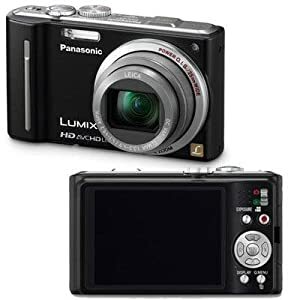 The Panasonic Lumix ZS7 is a relatively compact camera for its features, a little thinner than two decks of cards, a little too bulky for sharing a pocket with a cell phone. When you pick it up, it’s definitely weighted towards the optics, which makes sense considering it packs 16X optical zoom. In terms of controls, it has a dedicated button for video, standard radial (D-pad) button controls for flash, macro, etc, and the typical menu, display ones. It also includes one other, which took some getting used to. It’s called “exposure” and toggling lets you adjust shutter or aperture depending on your camera’s mode. It’s not as intuitive as having another dial for it (cough, SLR, cough) but its understandable given the size restrictions. Also of note is that there’s no power button. It’s an actual switch. Not sure how i feel about that right now, but if I ever accidentally turn off the camera I will form a much stronger opinion. The feel is, like i said before, comfortably hefty, but the build feels a little cheap. Example: The door cover for the USB/Video Out connectors tapers to a thin plastic edge which sounds painfully hollow and flimsy when you tap it. The plastic feel extends to the front where you fingers grip it. The case just feels thin. But it’s still overall a decent looking camera. Not like that Olympus PEN series… Ugh, I hate that retro, boxy look. My testing procedure of choice for this breakdown was a series of photos of the exact same scene from three different cameras. Camera 1 was the cheapest one, the Olympus Stylus 700. In broad daylight it performs well, but it’s small form factor sacrifices optics and processing power if the scene isn’t ideal. Camera 2 was the ZS7. Camera 3 was a 4 year old SLR, the Pentax *ist DL. In terms of ergonomics, there was no way the compact megazoom camera would beat an SLR. But I thought that maybe the image sensor and camera software had improved to a point where it would be just as powerful. For this scene, I stuck the camera on a railing, centered it at the base of a plastic owl, and snapped away. There were a lot of times during my highly scientific testing that I took pictures from where I had a natural, improvised tripod. The baseline shot with my S700 looks passable, though colors look bland and almost like the world was under a fluorescent lamp. Probably a combination of white-balancing, exposure, and post processing. Reds come out relatively well however. The ZS7 improves on color saturation for blues and greens (to a lesser extent). The pictures is sharper, which is to be expected from a camera with a better lens and higher resolution. The ZS7 also handles the depth of field well, almost everything is in focus. Compare this to the Pentax though, and the colors all look abysmal. The SLR simply takes the cake in terms of dynamic, and color range. There’s more detail in the clouds and the trees. Indoors – Low light, but stable shooting platform. For this shot, I found my recently arrived textbooks for next semester, and made a platform I could rest the cameras on. The scene is my messy living room, and the cameras are still on Auto. The ZS7 handles the scene pretty darned well. Reduced noise compared to the pocket cam, but also a more accurate white balance. In fact, it gives a truer representation than the SLR. Granted, the SLR’s image is even less noisy and a little more fully saturated, BUT it decided to take 1.5 seconds to snap the image. In a situation where you’re taking a shot by hand, that’s simply unacceptable. This next test was probably impossible, but figured I’d try anyway. It involves a dark room, with a brighter scene behind it. It was my expectation that one of the two would come out poorly and drowned out. Both the non SLR’s came out with similar results, though the ZS7 was much sharper. That would be the the illuminated auto-focus in action. It also exercised the biggest weakness I feel Pentax cameras have: slow auto-focus in darkness. But that’s an analysis for a different day. The SLR’s picture chose to bring out the shadows at the expense of the of the brighter areas, notably the paper fish hanging in the back. In reality, this is probably the best course of action, but once again, the *ist DL took the longest exposure out of all 3 cameras, 3 seconds. The Lumix did 2.5 seconds, and the S700 was done in 0.5 seconds (in auto mode, it restricts itself a lot). Here, the time expended by the Lumix was not well used at all. This wasn’t so much a test of image quality so much as ‘how far can you push it before it stops working.’ The Stylus 700 doesn’t have a light like the ZS7, nor does it strobe the flash like the *ist DL, so if it gets too dark it ceased to auto-focus. The ZS7’s auto-focusing beat out the Pentax in speed, though I’m not surprised there. My friend has a (younger) Canon Powershot that beat the my (older) *ist DL in low light auto-focus when we went to Hoboken to see the July 4th fireworks last year. Winner: Lumix ZS7, BUT there are plenty of other cameras out there with similar capabilities. There’s nothing in my house that can challenge the ZS7 in video because everything we have still shoots in standard, DVD-level definition. However, I can still draw some conclusions from walking around with it. The video the ZS7 takes is “pretty good” in most respects. It’s relatively sharp, not very compressed footage. It does autofocus while taking videos, though a little slower than in picture mode, and you can zoom while recording, also rather slowly. The motor noise does show up in your video though. In terms of speed, it’s nothing stellar. Marginally better than my S700 and Creative Vado camcorder (used in my Hoboken video/picture montage) in that you can move and rotate with it and come out with a little less blur. But you’re definitely not going to be shooting an action film on it. Sound quality is actually pretty good, I was sure to test that. I put the camera on a tripod in front of some speakers and rotated it as i played music. There was also other noise around the house. I played it back on my computer with Sennheiser headphones. There is a faint sense of stereo too despite the fact that they put the “left” and “right” microphones an inch apart. It has a little bit of background noise/humming but overall it’s pretty sharp. It captures the both low and high frequency sounds surprisingly well, I didn’t notice much degradation listening to recorded music. Macro performance is REALLY GOOD. The Turn-On delay is not great, but tolerable. It’s about 2-3 seconds before you can take your first picture after you power it on. The GPS and geotagging functions are neat, though I’m not sure when/where I would use them. Also not sure how they would impact battery life. HD video is saved in an obscure format. I think after wasting half a day of my life, that my dad got a pretty good camera. It’s got decent features (aperture & shutter priority modes), nice optics, and an image processing engine that’s about on par with what I should expect for this generation of cameras. My dad got it in the correct price range, which is $250-300. It disturbs me that it MSRP’s for closer to $400. That’s treading into SLR territory. But since Amazon.com exists, it won’t trouble me too much. Would I personally buy the camera? At $250 I would say yes. But any higher, the the Lumix would get lost among the competition. it’s realy a complete review on panasonic lumix zs7.